Congratulations to MIC graduating Senior Sawyer Lindland who will be attending Beloit College in WI in the Fall of 2013. He received a scholarship to participate in Beloit’s instrumental music programs and plans to study Psychology and Spanish. It has been a pleasure to work with Sawyer for the past 8 years. He has brought a sense of humor and some excellent musicianship to our studio, both as a member of the advanced trumpet ensemble and in his solo performances. I will especially miss our discussions, sometimes quite lengthy, about matters such as: why are there B sharps, and why are there F flats in musical notation? I don’t think we have yet resolved these issues, but Sawyer plans to introduce an entirely new tonality system based on numbers when he gets to Beloit. (good luck with that Sawyer!) You can see numerous videos on this website of Sawyer’s past performances- very impressive indeed! Sawyer has put together a little bio for us that you can read by clicking here. 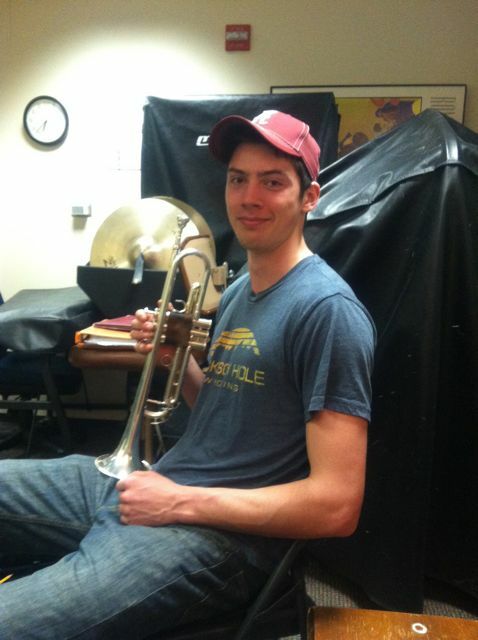 Sawyer will perform Aria et Scherzo by Alexander Arutunian at the upcoming studio recital on May 31st at Nichols Concert Hall as well as several works as a member of the Advanced Trumpet Ensemble. We will all miss you Sawyer! 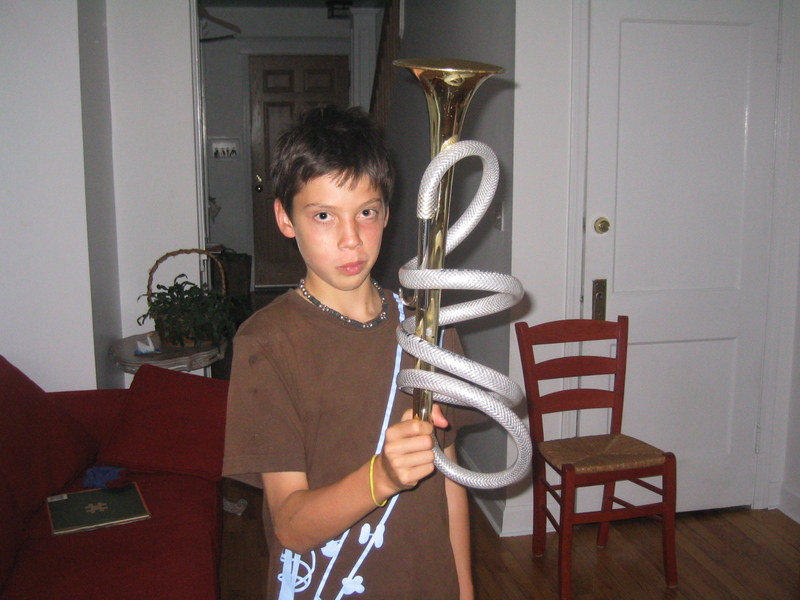 This entry was posted in MIC Alumni News on May 15, 2013 by brassforbeginners.